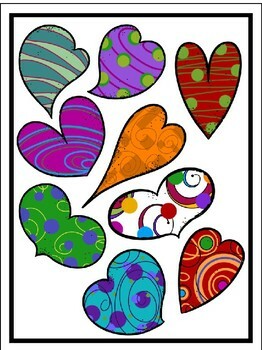 Hearts aren’t just for Valentine’s Day anymore so these can be used all year for multiple accent purposes! 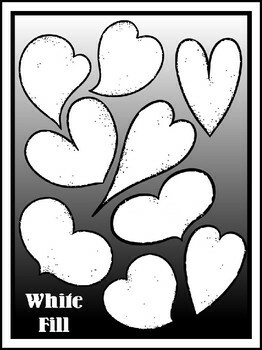 Create corner accents, borders, page toppers/dividers to name a few examples! 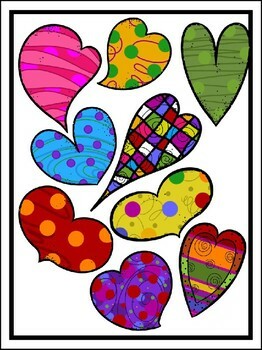 This 27 piece set is bursting with color and will add enthusiasm to your resource covers, scrapbooking pages, work sheets, task cards & more. 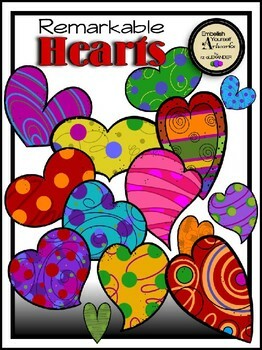 The set includes 9 different styles of basic hearts in black & white and 18 brightly colored hearts (2 variations of each style) to give you many possibilities to create multiple amazing resources! All graphics included can be seen in the product preview for your convenience.